I repainted my entire house probably two or three years ago. I got really overwhelmed trying to pick out paint colors for every room because I was trying to keep them "husband approved". Had I just been able to pick out colors without his opinion it would have been a cinch! For some reason I had the hardest time with my kitchen and dining room, which are basically one room. My husband wanted them to be two different colors, but obviously they had to look good together. Long story short, I had a mini breakdown in the paint store and my (very patient) husband ended up picking the colors. He chose a navy blue for the dining room and I was quite skeptical, but too over the process to select something different. I have to say....I love it! We just did it on one wall, so it doesn't make my dining room too dark at all. It's also quite neutral and it goes really well with my walnut dining room table and china cabinet. 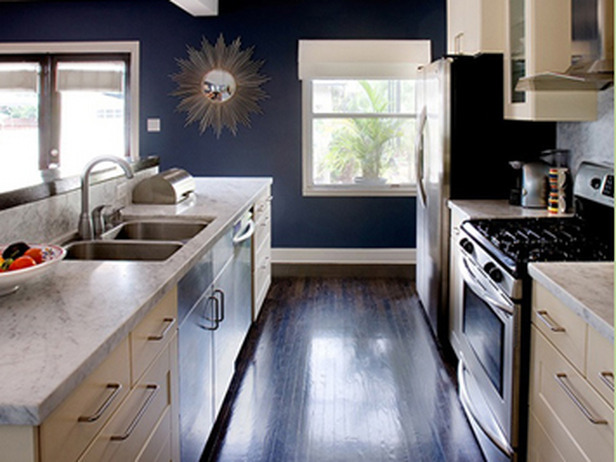 In a kitchen I think it looks great with white cabinets (so clean looking) or a darker wood like walnut. 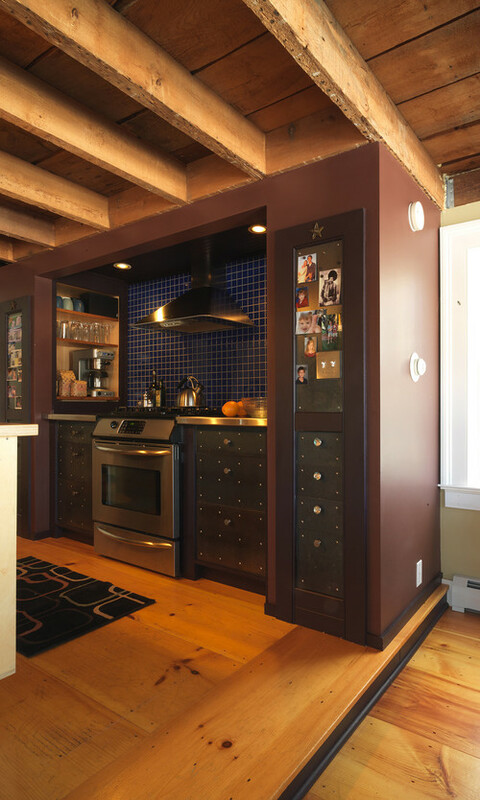 It's a good wall color or cabinet color. 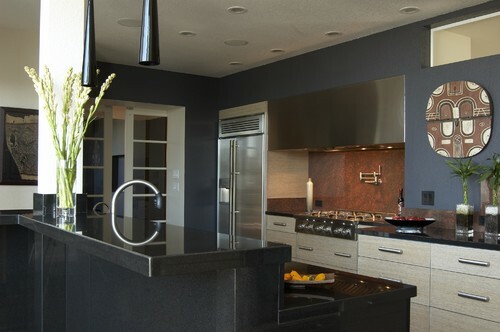 If you would like your countertops to be navy blue consider Blue Pearl granite, Soapstone, Pietra Cardosa or Deep Ocean CaesarStone. 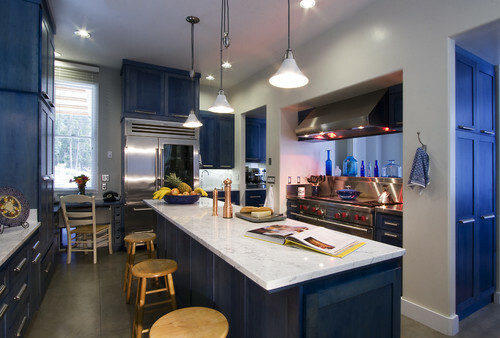 Don't be scared of navy blue, if you like this color there are a lot of ways to use it in your kitchen. Be it a little or a lot. Check out these beautiful kitchens using navy blue. 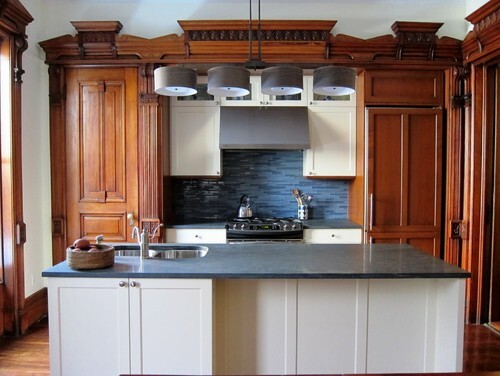 traditional kitchen design by new york architect Neuhaus Design Architecture, P.C. 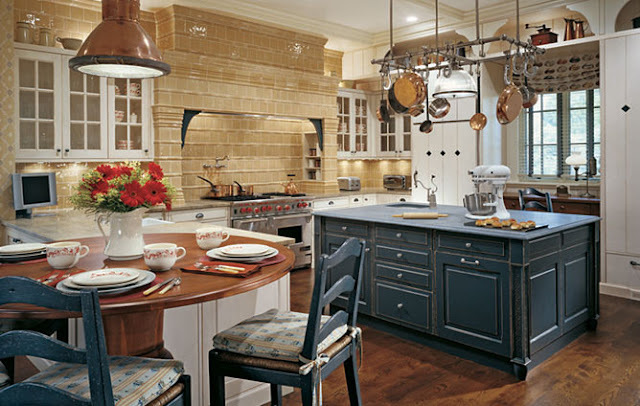 So tell me, would you use Navy Blue in your kitchen?